Reaction from both the general Android community and at least some of the press has been less than enthusiastic. Not only is "Nougat" something of a vanilla treat (if you'll pardon the pun), the logo and statue that Google revealed to go along with it aren't exactly dynamic. If you thought the Bugdroid mascot hugging a big Marshmallow was a bit lame, then the same green cartoon simply standing on a few vaguely nougaty bars is just pathetic. Oh, and there are a bunch of Indian students who are very disappointed in Sundar Pichai right now. But then there's no accounting for taste, and this is the weekly poll, so it's your turn to tell us what you think. Do you like the name? Are you merely okay with it? Do you think it's terrible, and that Google has missed its one chance for the biggest Nutter Butter cross-promotion of the century? Let us know in the poll below, and feel free to extrapolate in the comments. 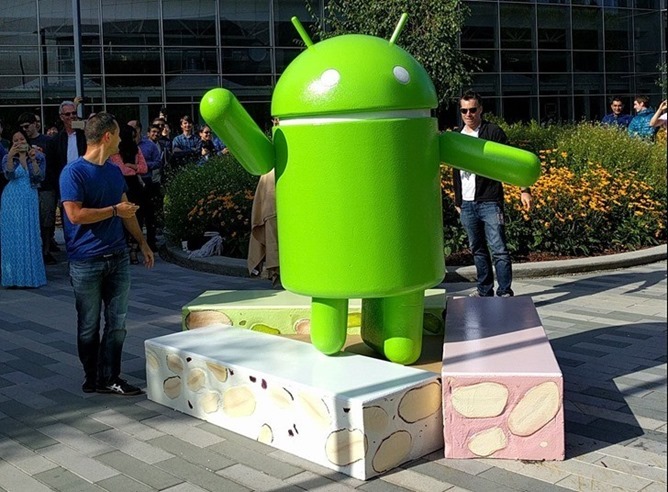 Android Nougat - what do you think of the name? It's the best thing since peanut brittle.